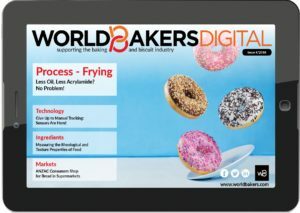 Health, but with a different approach, the diversification of sales channels, seasonality and innovations – these are the factors influencing the baked goods sales in the US, according to the market analysts from IRI Worldwide. Jonna Parker, principal, IRI Fresh Center of Excellence, mentioned in a webinar that the four macro trends driving bakery consumption in the US market are: holistic health, channel frenzy, thriving seasons and innovation. “This is a consumer-based definition of the bakery sector that drives growth. This a megatrend. I talk about them in all our fresh department presentation because consumers see food and beverages, as well as other supplements and remedies as a holistic 360 degree approach to health,” the analyst says. Lifestyle, including diet and exercising, plays a critical role for holistic health for the American consumer. Furthermore, 40% of them (all ages and demographics) say that foods and beverages are the most critical pieces, but many have crossed the food in store against their lifestyle goals. What is interesting for these consumers, the analysts remarks, is that they did not completely remove baked goods from their diet, as the bagels and bialys outspend other categories in bakery. This means that producers do not have to change the products offered in order to resonate with this type of consumer. On the other hand, according to IRI, there is category of consumers who do not make so many decisions based on health. “These consumers are driven by taste and not by health and natural,” Parker says, but she also adds that “we cannot say that they don’t care at all”. Moreover, 28% of American consumers say that a diet influences their purchasing – such as gluten-free diet or paleo. What kinds of diet do promote eating bread? For gluten-free diets there is a large offer, but also for vegetarian, vegan and Mediterranean, while paleo, ketogenic or whole 30 diet, historically, rejected the bread consumption, the analyst explains. However, from the diets that include bread, the researchers have noticed that high-protein diet followers registered a rise in baked goods spend. Gluten-free diet followers are also spending more on packaged gluten-free bread. A special case is ancient grains – this is a trend of labeling and ingredients – where IRI has seen significant dollars sales increase in the category. For example, 24% increase in dollar sales in 2018 came from products that included ancient grains. “When we ask consumers where they shop for the fresh goods, only 19% say standalone bakeries. This mean more than 80% of the US population are looking in retail to fulfill their bakery needs,” Parker says. The biggest growth is registered in discount groceries such as ALDI (8.3%) and online stores (33.1%). Declining spending trends are seen in drug stores (-6.8%) and all other, meaning specialty stores (-3%). “The big news in 2018 was about the innovation of e-commerce,” the analyst stresses. She explains that 36% of consumers would buy fresh foods, including baked goods, if they are delivered fast, while 45% of Millennials agree that they would buy, if the food was delivered fast. On the other hand, 33% of consumers want fresh foods as part of their grocery store pick-up, while 44% of Millennials do the same. 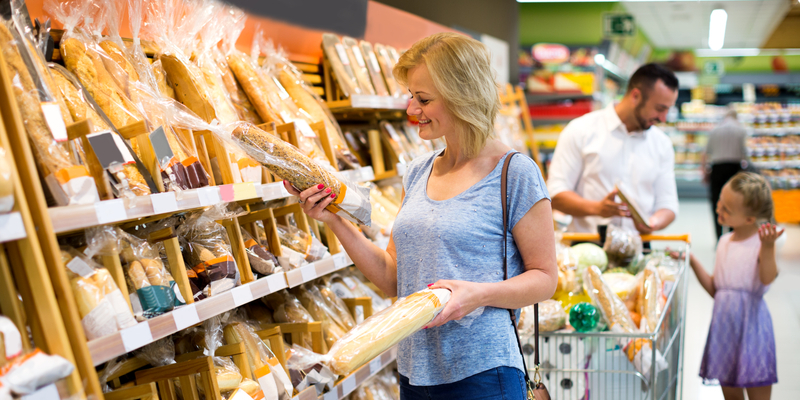 In-store availability and freshness impact consumers decision on where to shop – 65% of consumers said yes for in-store fresh bakery, while 49% said yes for packaged baked goods. “Although e-commerce for fresh and packaged baked goods does not make a huge percentage today, the growth rates indicates that additional share of channels will be gained over time,” Parker undelines. Moreover, brands play a role in fresh bakery, but 60% of consumers said they did not look for specific brands when purchasing fresh bakery items. The winter holiday season drives disproportionate sales for baked goods, the analysts from IRI explain. Five weeks in November and December, starting with Thanksgiving Day and ending with the Winter holidays, make up 12% of units and dollar sales. However, the analysts were surprised to remark that fresh baked drives significant traffic during the spring/summer season, while packaged stays consistent. Between Easter and the 4th of July, the analysts saw an interesting trend of sales in fresh goods. The researchers advised on the that opportunity to create cross-store sales opportunities anchors on consumers needs throughout the year. One example showed the discounts offered to the shoppers who bought cakes on special occasions and became members of a club. 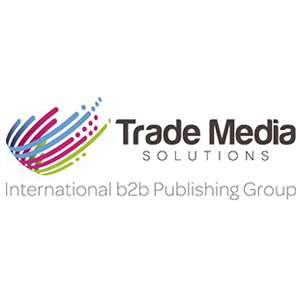 These were critical to capture larger basket and drive sales to other key party categories. New products in the holistic health segment are delivering on many of the health needs consumer desire. Tim Grzebinski, Client Insights Principal, IRI, offered some examples of innovative products on the American baked goods market. “Healthy eating has really changed. The consumer is no longer looking at really just low fat, low calories options, it is much more than that”, he stresses. He remarks some of the trends in innovative bakery such as organic products, special ingredients and special flavors. An example of producer that promoted new flavors was Canyon Bakehouse, which launched gluten-free Honey Oat Bread, a wheat-free bread, made with healthy whole grains, no GMOs and free from dairy, nuts and soy. Some other examples included Quest Cookies which offered a high-protein, low-carb, low-sugar content. Dave Killer’s organic bread continued to have a big success and they introduce new interesting flavors to the market, such as berries and pumpkin spice. In the end, some of the key pieces of advice offered by the analysts were the promoting the benefits and “goodness” of the baked goods and using the opportunity for creating innovative products.